I found the recipe for the Swabs on-line. So cute! But I added the packaging idea. It reads: Swabs...Now with more ear wax! The 'Rodent Surprise' cookies were my idea. Dip one side of the cookie (Oreos here) in white chocolate and sprinkle on chocolate sprinkles to look like mouse droppings. That's a very good idea! What are the ear swabs made of? They kids were really grossed out and loved them! 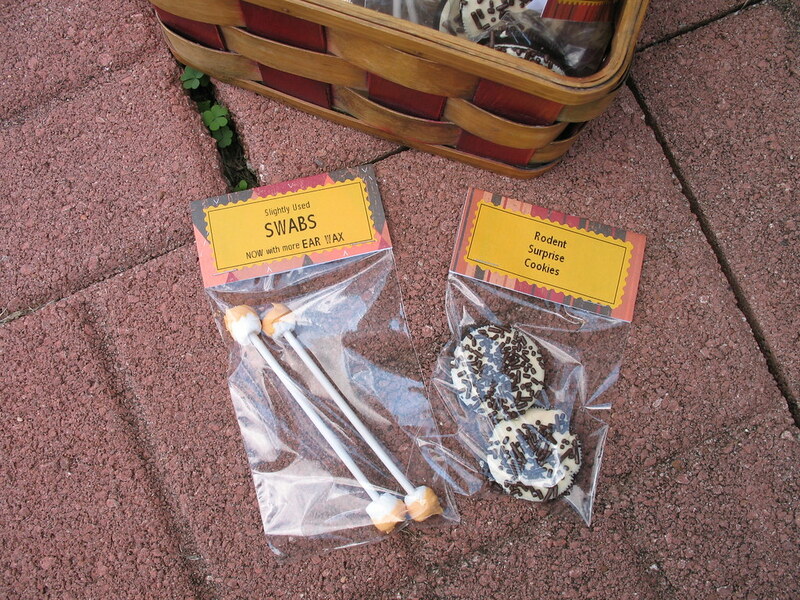 The swabs are really cool & your packaging makes both items look fantastic!!! Nice job! the cotton swabs remind me of halloween parties in elementary school!